Final exam – In order to pass this class you must take the final exam. Access instructions will be provided during class. Web content teasers: Seasonal graphics. How to make animated GIFs with Photoshop. File Transfer Protocol – How to get your site, images and pages onto a remote server. 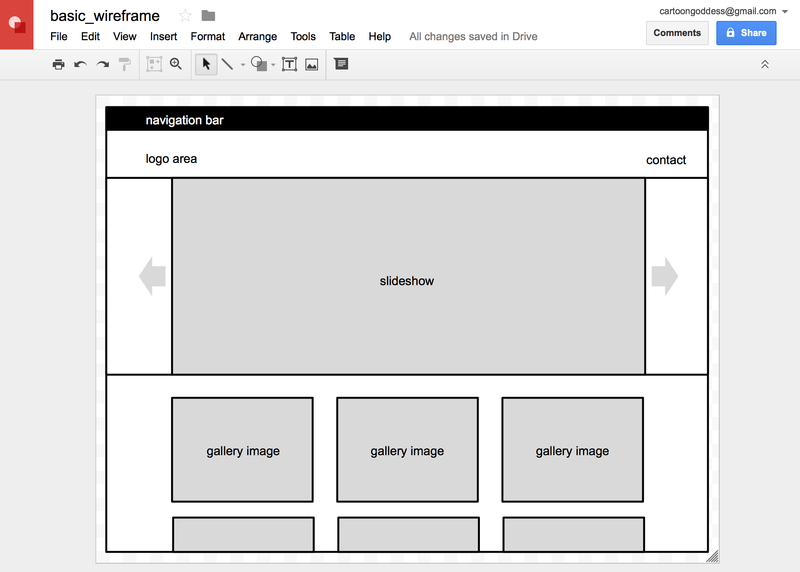 Create a page with navigation (widget) and editable regions to save as a template (.dwt). Use Photoshop to write a custom action to batch resize your images. Open Bridge, duplicate your batch image folder, select the images and use tools > batch to apply the action you wrote. Set up either an accordion widget or tabbed panels. 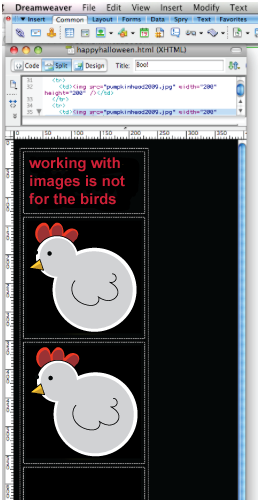 Drag your resized images from Bridge to your widget in Dreamweaver. Tweak the CSS to customize the look and feel of your selected widget. 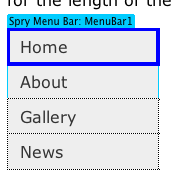 What is a Spry menu and what can I do with it? There will be a test in two (2) weeks. Please review your notes from class. What is a form and what can I do with it? Which social networking site do you like best and why? How do you think you could best use it to promote your business? Email results (link to site and a few sentences about it) to instructor by 5pm on Thursday, December 10. More fun with site management. Building galleries using Bridge and the assets panel. 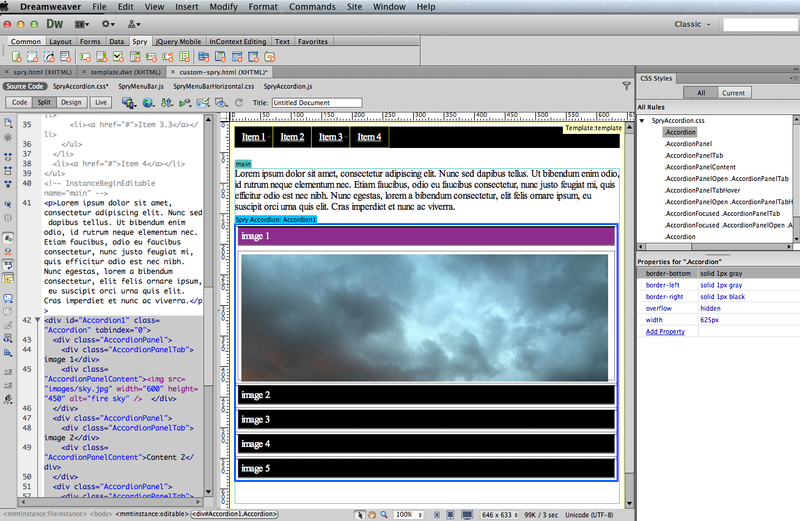 Building galleries using Dreamweaver CS6 techniques. Catch up on missing assignments. What the heck are assets? Take what you’ve learned about hexadecimal colors, CSS, HTML and layouts and apply to any customizable profile. Turn any page you can modify into your own. Here is a basic page, with links for 3 pages that is controlled by CSS. 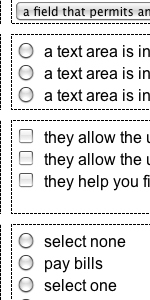 You can copy the CSS and embed it into your page between the <style> tags in <head> area. Set up a Flickr account for yourself. Flickr is YOUR SKETCHBOOK. By using TAGS, you can create a searchable database of your images. 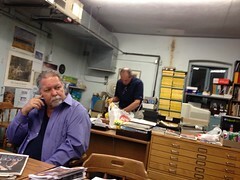 Upload images to Flickr. Tag your images and write descriptions for them. Check out the geo-tagging feature. Groups? Sets? Collections? Optimizing multiple images, using Photoshop for batch automation, writing actions, background images, images in tables. Working with Adobe Bridge for optimum file management. Use your own images (from your USB drive or Flickr account) for in-class assignment or use these. Turn a basic, boring pumpkin in to a lovely jack-o-lantern with Adobe Illustrator and Photoshop. Download and use this image. If you haven’t yet collected all the images you will use on your website gallery page, now is the time to do it. Make sure they are on your USB drive for next weeks class. Using Photoshop and Illustrator to create graphics, banners and ads. Photoshop digital collage. Exploring filers and effects. See what a professional proposal looks like. 10-15 of your OWN images/art saved to disc or flashdrive. How to create an image map with Adobe Dreamweaver. What types of images work best. Photographs vs. artist created images. Using 3D tools to create graphics. Ten (10) images (at least 1000 px wide) on your USB drive OR in Dropbox. WIll you pass this class? Find out..
Can I Buy the Capital Letters Version of a Domain if Someone Else Owns the Lowercase Variant? Does Using a Web Host Mean that My Files Belong to Them?